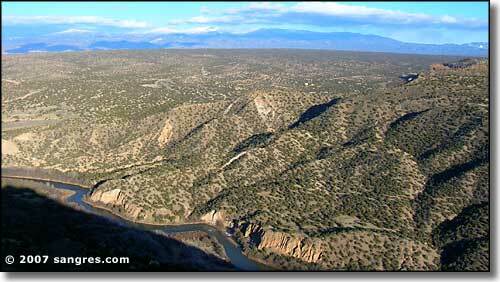 The White Rock Overlook is on a hanging promontory above the Rio Grande. 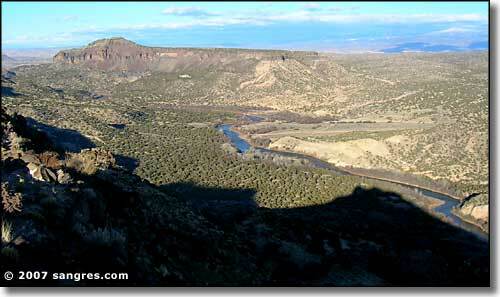 The whole area is obviously of volcanic origin and the formations, the rock-fall, the canyons... simply beautiful. 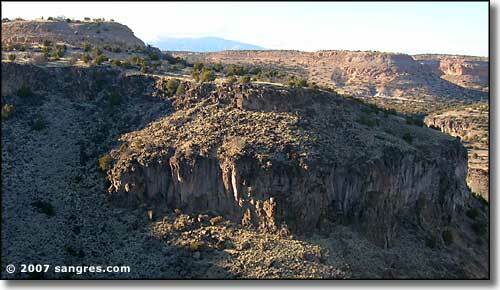 This particular area doesn't have the volcanic ash that makes up a lot of the surface rock around Los Alamos. This is more hardened magma with lava palisades all around. 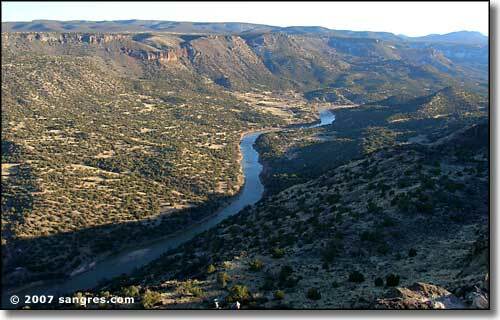 The valley of the Rio Grande looks very much like a wide-open crack in the earth, and it is. 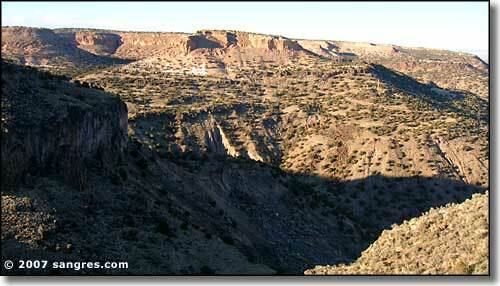 These photos cover the area from San Ildefonso in the north almost to Cochiti Lake in the south. There are occasional rafters on this section of the river but it isn't nearly as commercialized as the area around Taos and Pilar.